Yavapai county offers grants every year to school in the county. This year I applied for money for an aquarium for our room. We had a small aquarium and wanted to expand. We found that it was very relaxing for children that were stressed. It also gave us teaching opportunities to learn more about aquatic habitats. 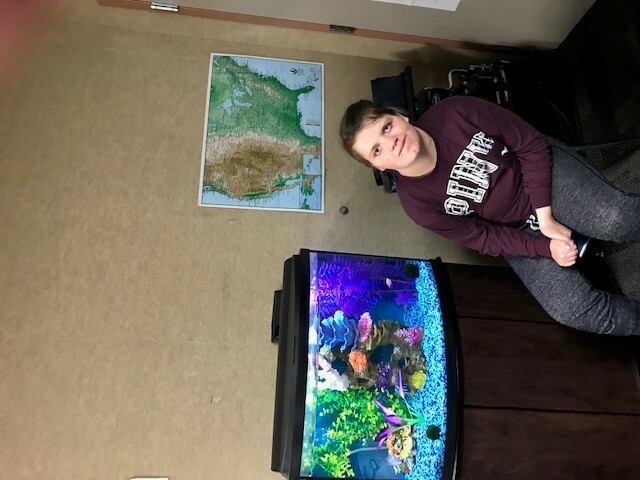 Children that are reluctant to do their work will often work diligently when they can spend a few minutes watching the fish when they are finished. We bought and set up the tank during Christmas break and have been gradually adding fish. 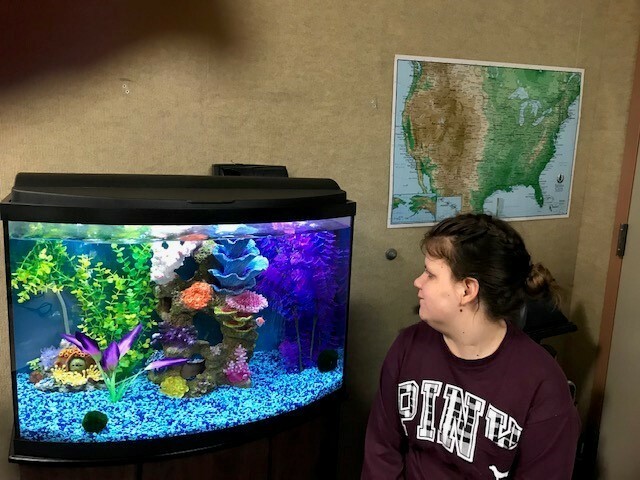 Drop in at resource and see our new aquarium!